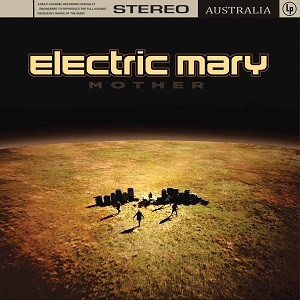 “Mother” is the fourth studio album from Australian rock band Electric Mary. The band formed in 2003, and as well as three studio albums and a live album, they’ve also released several EPs and toured extensively. Over the years the band have toured with acts including Whitesnake, Judas Priest, Deep Purple, Def Leppard, Alice Cooper, KISS and Motorhead. That’s a pretty impressive list of acts to support, and many of those acts are ones which have influenced the Electric Mary sound. Unlike most of the Australian bands I’ve heard recently, there isn’t even a hint of them wanting to be the next ACDC. So many bands (particularly Australian ones) have a sound that’s very heavily influenced by ACDC, but with Electric Mary the influences are 70s hard rock bands such as Deep purple, Free, bad Company, Cheap trick and more. Most of the songs are short (two and a half to three and a half minutes long), and they pack plenty of punch, but there are a couple of songs that clock in around six and a half minutes long. I love the short songs – they’re great classic hard rock songs, but the longer ones give the band a bit more freedom to show what they can do. I think they’ve got the balance about right – the longer songs show what they can do, but also slow the pace somewhat, but this serves as a nice break from the relentless power and energy of those shorter songs. It’s a superb album – that 70’s classic hard rock influenced sound is one I could happily listen to all day, and the vocals are great too. This is a band that all hard rock fans need to check out.